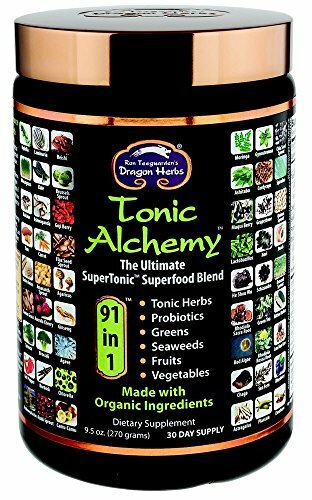 THE ULTIMATE BLEND – New with 91 amazing ingredients, Tonic Alchemy is a chemical-free product, it contains 71 certified organic herbs, vegetables, super foods, super fruits and super sprouts. Besides these organic ingredients, TA contains 20 wild crafted major tonic herbs all of which are sourced from remote regions across the world. Great for both men and women this unique blend offers an excellent assortment of vitamins, amino acids, whole food powders, vital proteins, and fiber. 100% PURE VEGAN – The ingredients in Tonic Alchemy have been collected from the highest mountains in the world, from remote deep blue oceans, and from pristine forests, deserts and jungles throughout the world. Multiple combinations of vital Super foods, green vegetables, green grass, dried grass juices, tonic herbs, probiotics, seaweeds, super fruits, garden vegetables, sprouts. Only the finest available ingredients. Gluten Free. No simple sugar, colors, additives, preservatives. PERFECT FOR PEOPLE ON THE GO – Prefect for active people and athletes. Tonic Alchemy helps many athletes maintain a healthy fit lifestyle by aiding healthy weight, detox, cleanse support, and nutrition. 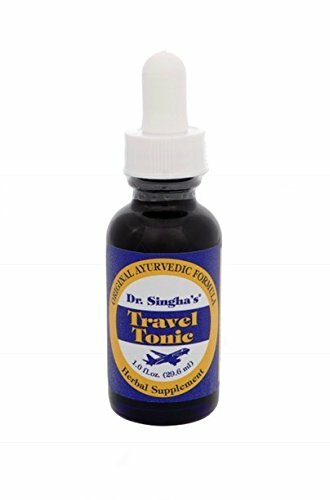 Whether it be Yoga, Basketball, Rock Climbing, Weight Lifting, Martial Arts, Dance, Golf, Snow Boarding, or Tennis, Tonic Alchemy fits and supports all active lifestyles. Tonic Alchemy is your daily assurance for a perfect diet. With 91 amazing ingredients, Tonic Alchemy is the source of thousands of phyto-nutrients. Tonic Alchemy is a remarkable, cutting edge blend of superfoods, premium tonic herbs, organic fruits and vegetables, and probiotics from all around the world – from the cleanest oceans, to the most bio-diverse rainforests, to the world’s most remote mountains. Ingredients come from almost every continent and every type of environment on earth. 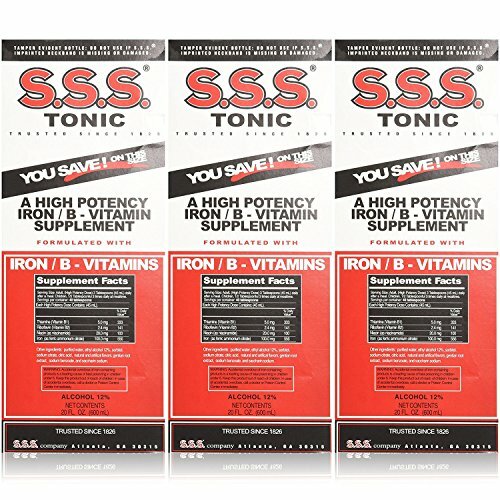 These superfoods are so nutrient dense that just a tablespoon a day of Tonic Alchemy™ blended with a liquid will provide more high quality nutrition and essential vitamin support than most Americans assimilate in an entire day. Tonic Alchemy is delicious and easy to prepare. You will look forward to each opportunity to enjoy this life-giving superfood matrix. Every serving is a step toward radiant health, staying fit, providing energy, including the potential to slow down aging itself. Whats new about Tonic Alchemy? 91 Ingredients. That’s a big subject. Tonic Alchemy™ 2.0 has over 20 new ingredients that Ron Teeguarden has decided he wants to consume every day. Organic Ingredients. 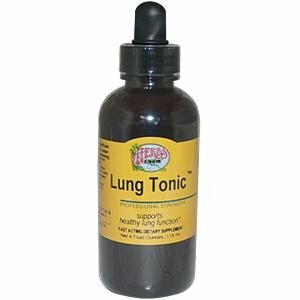 Although Tonic Alchemy has ALWAYS be pure and chemical free, many of the ingredients were not certified organic. Now 71 of the superfoods, fruits, vegetables and herbs are certified organic. Almost all of the rest of the ingredients are wildcrafted (collected from Nature in the wild). 100% Vegan. The original Tonic Alchemy contained powdered pearls – the other 70 ingredients were plants. The pearl has been removed from Tonic Alchemy™ 2.0, which is now 100% vegan. This product is also largely raw. Only the herbs that cannot be consumed raw have been extracted and condensed. HEALTHY DIET – Tonic Alchemy is your daily assurance for a perfect diet. If you are trying to maintain a healthy diet or even shed a few pounds Tonic Alchemy can help aid weight maintenance or even wanted weight loss. Add it to your protein shakes, smoothies, or just plain almond milk! Tonic Alchemy is approved for all the diets from Keto diets to Vegan diets. Tonic Alchemy will help support your daily nutrition. 100% MONEY BACK GUARANTEE – When you order Dragon Herbs Tonic Alchemy today, you’re protected by a 30 day, no-questions asked money back guarantee and world class customer service.